T. Marzetti Company, a leading specialty foods company, celebrates its strong brands, outstanding products, and innovative culture. 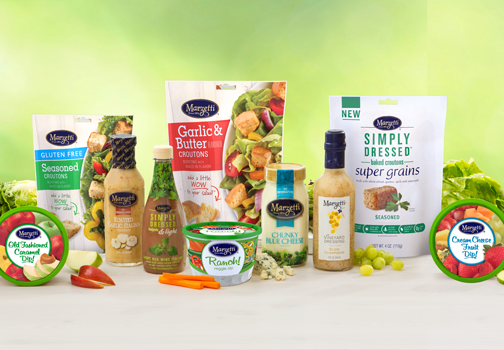 The company's most popular retail branded products include Marzetti® salad dressings and dips, New York Brand® Bakery Texas toast, New York Brand® Texas Toast croutons, Sister Schubert’s® homemade rolls and Flatout® flatbreads. The Marzetti Retail vision is to bring delicious food to the table, superior service to customers, and value to consumers through product innovation and differentiation. For more information, visit marzetti.com, nybakery.com, sisterschuberts.com and flatoutbread.com.